Home › News › 🌈Special Edition Harvest Update ⭐️ + chance to win free tickets!! 🌈Special Edition Harvest Update ⭐️ + chance to win free tickets!! Meet Elie! 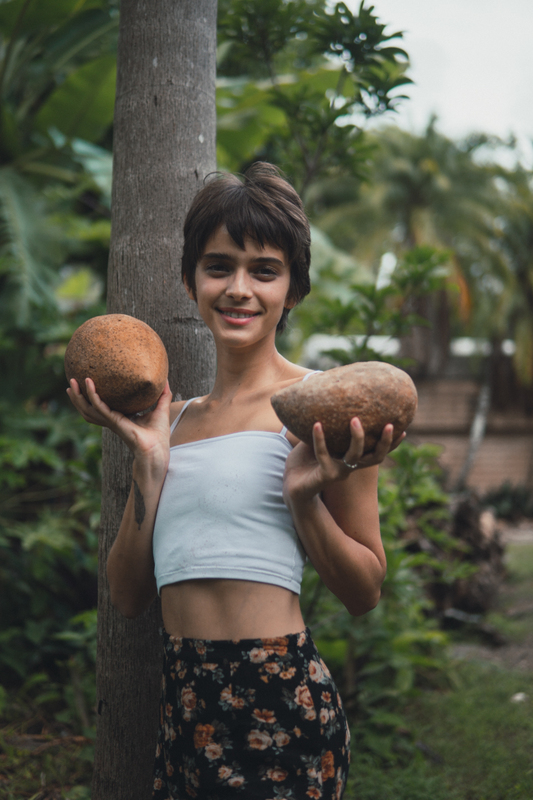 She fell in love with tropical fruits in Costa Rica. Less sweet, juicy fruit is her favorite, like this amazing white dragonfruit. It has a subtle sweetness that can be appreciated by any kind of fruit lover. Yellow dragonfruit is for people that love super sweet fruit. 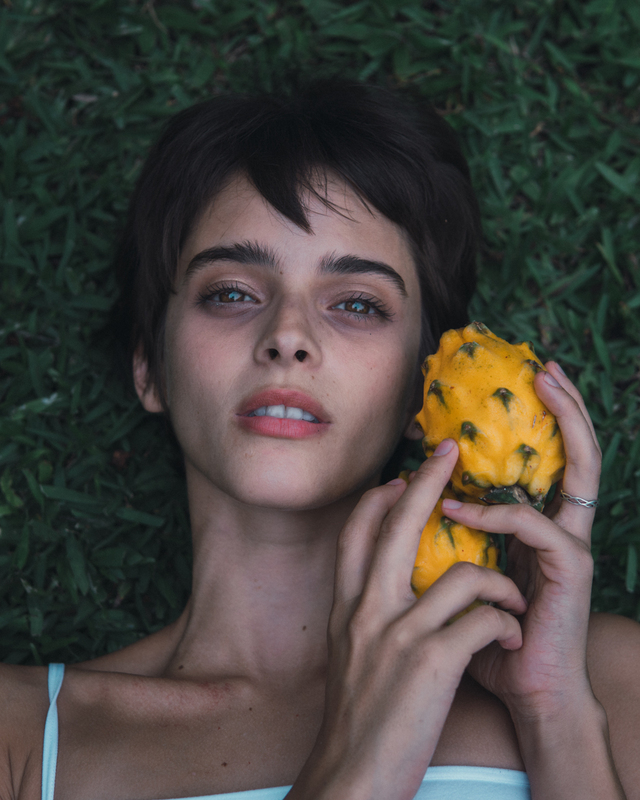 The photographer of all of these photos, Chris, is a huge fan of yellow pitaya. Jackfruit by the pool? It's a Miami thing ;) We have been harvesting some super sweet varieties lately. This is everyone's favorite this time of year. Life Hack: when the jackfruit is ripe it will smell super sweet. Refrigerate it for a few hours before cutting into it to reduce the drippy sap. You deserve to treat yourself. The best thing about rambutan other than the juicy sweetness, is that they are ready to eat as soon as they're picked. We encourage you to monomeal them as soon as you receive them. This mamey is almost as sweet as Elie! The mamey on the left is hard and unripe, and the mamey on the right is wrinkly, soft, and ready to eat. You can tell it's ready when your finger makes an indent when you press on it. So close we can almost taste it. You can pre order lychees now to reserve your spot in line. We are expecting to have our first harvest of the season this Monday. Order now, don't miss out! They won't be here for long. 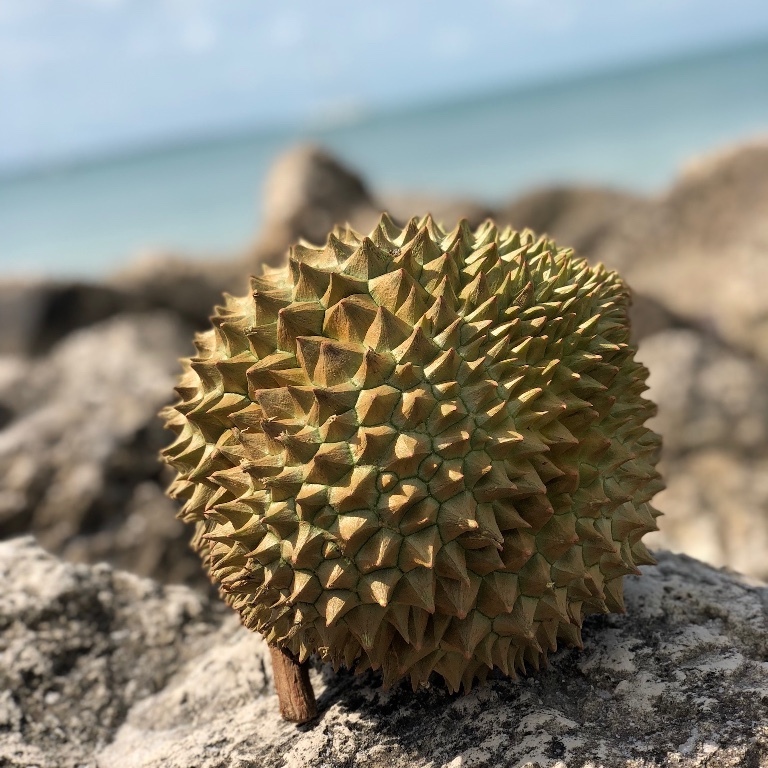 More durian will be shipped out this Monday, please make sure to get your order in as soon as possible because we may run out. You can smell summer in the air which means festival season is coming... and we are absolutely thrilled to be attending 2 festivals!! We will be presenting at the first ever Canada Fruit Fest this August and will be having an open discussion about intentional community farm living. We get many messages from people interested in work trade but it’s hard to say yes to everyone especially people we’ve never met which is why we highly encourage you to meet us at a fruit festival this summer. We have made lifelong friendships with people that have come to visit and help out for short periods at the Woodstock Fruit Festival which we are exited to be attending for our third year. Woodstock has been our favorite week of the year for the last two years in a row and we are exited to go back again to see so many fruity friends from around the world. 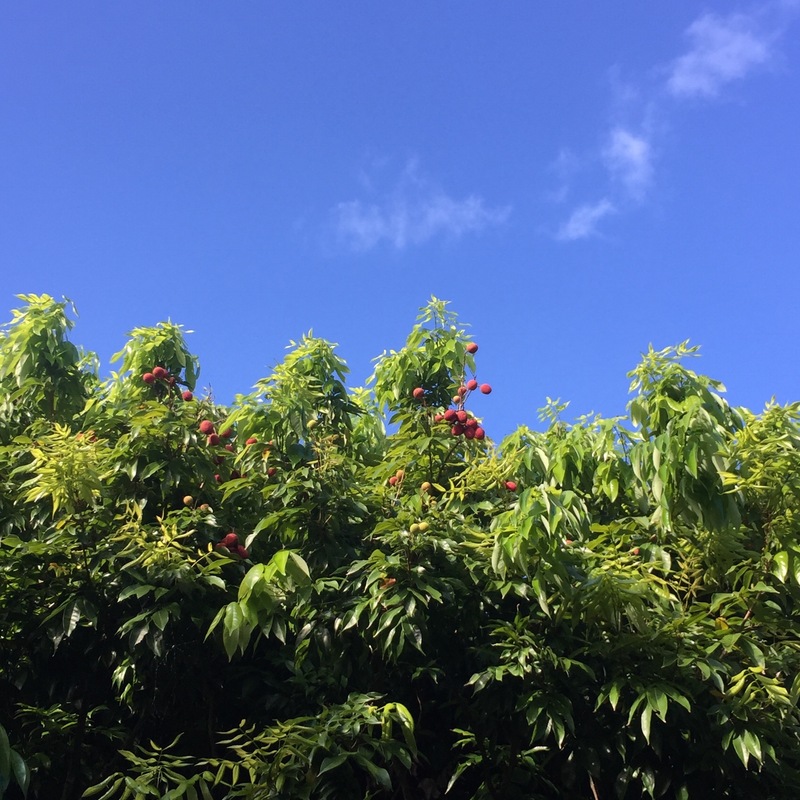 These festivals magnetically attract so much fruit and abundance (which we supply some of) but the main thing everyone loves the most is the sweetness that comes from the people, not the fruit! So we encourage you to consider coming to one or both of these festivals this summer and watch your life transform! There’s a NEW giveaway going on right now for 11 free tickets to the Canada Fruit Fest including one free plane ticket and festival ticket and it’s free to enter! Just make sure you use the link: bit.ly/MiamiFruitCanada so now you really have no excuses! And if you are interested in taking $100 off your admission ticket for The Woodstock Fruit Festival, make sure to use the code: MIAMIFRUIT ! By using the link and code you will be supporting us. Thank you.